"ED Ventilation carried out very good work for us. The team was neat and tidy, providing a service that was very courteous and high quality." Even with a regular effective cleaning routine, soil such as grease and dirt continued to build up on surfaces were less accessible. We found that areas such as light fixings, walls, ceiling and canopies offered surfaces that were perfect for accumulating dirt, increasing the risk of fire. These areas were also great for the growth of germs and bacteria, providing the potential for serious health issues. Because of this we decided to seek professional help. Providing a complete deep cleaning service, ED Ventilation's professional team uses their expertise in order to prevent fire and health risks. A deep clean also offers the benefit of extending the lifespan of your equipment as it will no longer need to fight the effects of built up dirt and bacteria. 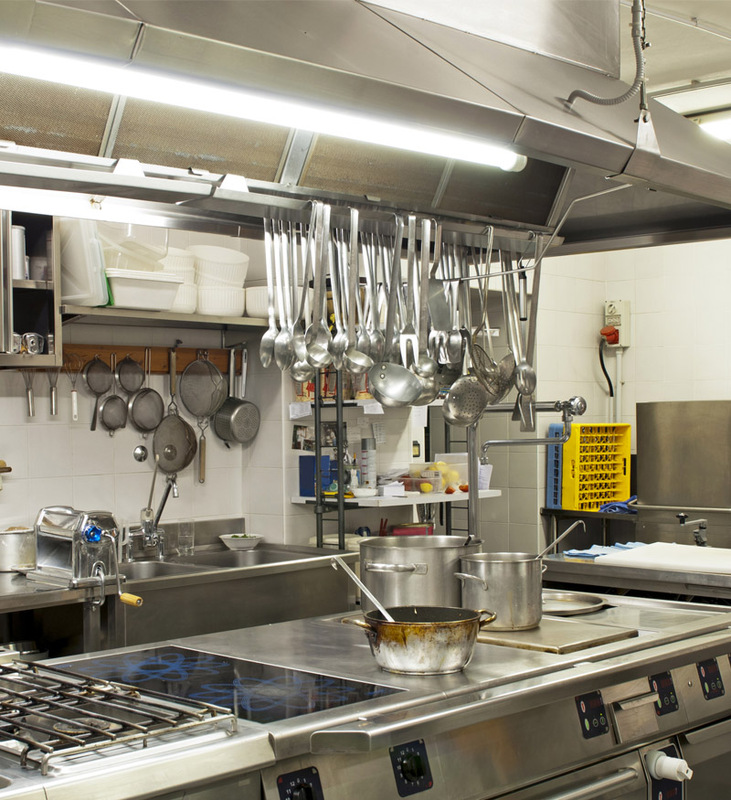 ED Ventilations Deep Cleaning service includes the expert cleaning of kitchen ducts, ventilation, and kitchen equipment and structures. It also includes the high standard cleaning of fabrics, floors, walls and ceilings.